Strada Rossa VI: I don't think I have the right bike for the Redlands Strada Rossa!!! I don't think I have the right bike for the Redlands Strada Rossa!!! Can you do it on road slicks? Of course! Just ride wheelies the whole way! Will you have a good time on a dual-suspension MTB? I don't know, does she look like she's having a bad time??? 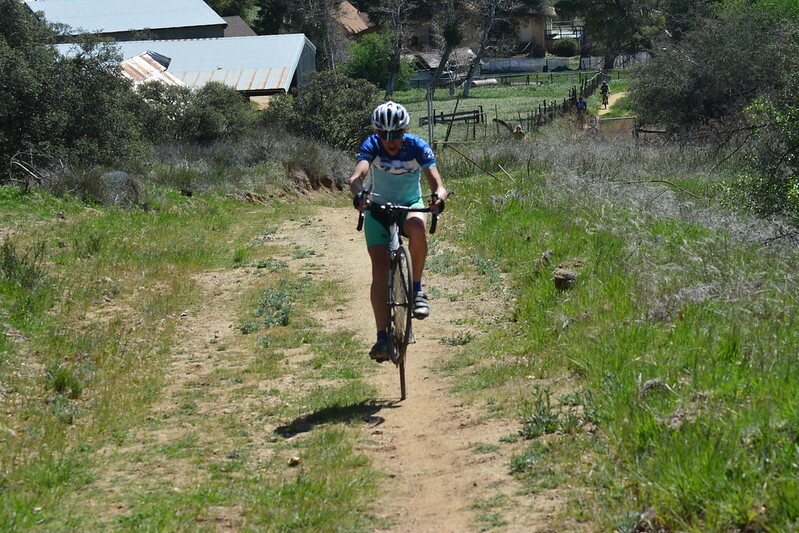 There is no bike that can't do this on, but yes, a cross bike with 35-ish tires would be best. But if you're at all interested, the entry bar is pretty low, so run what you brung and get out there! The 50km will be designed so that just about any bike and rider and do it without problems. 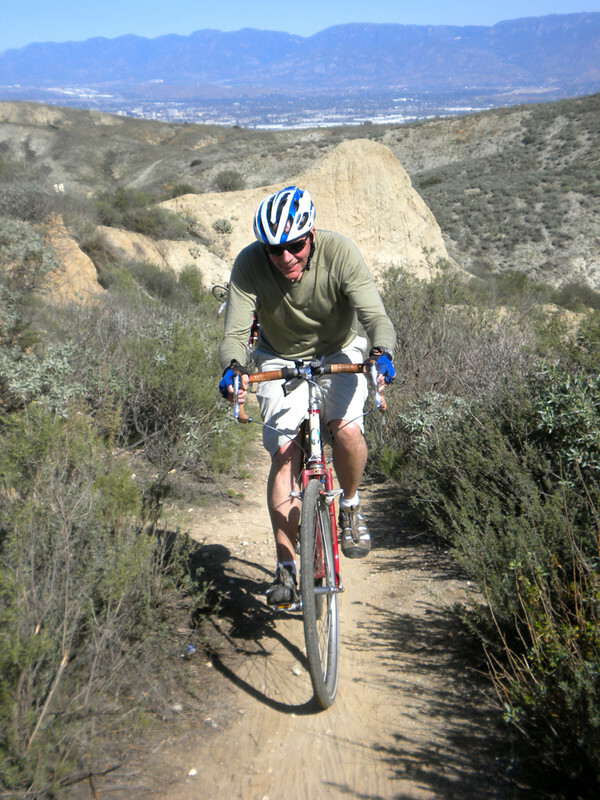 Don't worry about the terrain or bike, just the rider's fitness. If you can ride 25-35 miles, you can do this! 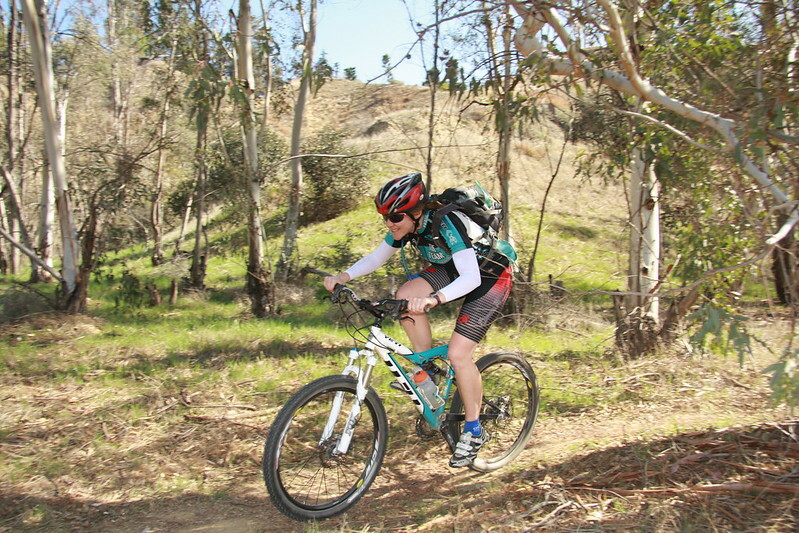 The idea is to promote mixed-terrain riding, and the whole run whatcha' brung philosophy of getting it done! The 100km is going to be tougher. No joke. Not only is the distance doubled, but there is a lot more climbing and a lot more dirt. Whatever bike you bring, you need to feel comfortable ascending and descending in the dirt on it. The 100km is not the ride to find out if you like riding stuff like this! You have four weeks to figure that part out!!! That said, the safe bet is to sign up for the 100, and then peel off and do the 50 if you just aren't feeling it. Only downside is that you'll end up finishing early, and may arrive back in town too early for the post-ride festivities. So hang out, ride around a bit more, and come back for the fun! do you have the GPS file to load on my Garmin? any suggestion on tires in 700c size (on cross bike)? Our drop dead planned release date is the Monday before. Will put on Ride w/ GPS as well as Strava. As for tires, if you can fit 'em, the Clement MSO is the perfect tire IMHO: http://www.jensonusa.com/Clement-Xplor-Mso-60-TPI-Tire But I consider tires less than 35mm as "skinny" so my opinion is biased :-) Also, as I mentioned, if you're doing the 50km, you can do a skinier/faster tire and be just as happy over 95% of the route. The MSO would still be fine though. It's really a good tire. I should get some kickbacks for that sale! Really though, they'll be perfect for the 100. There will be a lot less open road than last year, with more short punches of climbing and dirt. 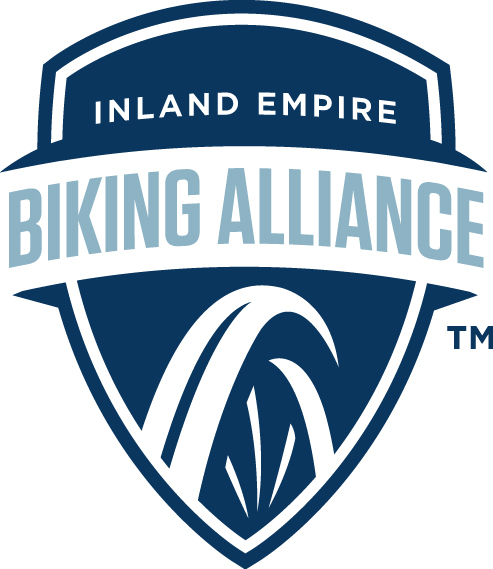 Hoping to have a real nice addition up in Yucaipa... big reveal is on Monday!!! Patches, patches, come get your patches!! !